A Navy plane flies over Chum's Corner about 1943. Silver Lake is in the background. 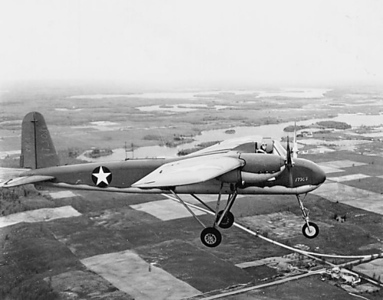 The old Cherry Capital Airport served as a naval air station during 1943 and 1944, and the Navy tested top-secret, radio-controlled drones, or pilot-less airplanes, there.